What’s your walking surface IQ? 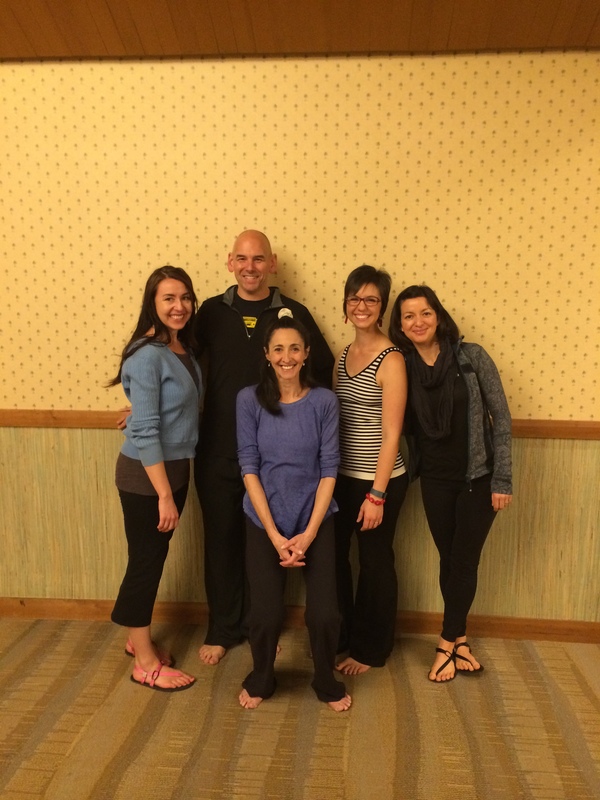 This past week I attended advanced training with my mentor and creator of the Restorative Exercise ™ Institute Katy Bowman. We explored many new levels of understanding movement, but I definitely got a much deeper insight into how limited our human experience is due to our environment. Take for example shoes and the surfaces we interact with. Once upon a time, we walked on a diverse terrain – over pebbles and paths, rocks, forests, in high grass, on boulders, we might have had to climb over an obstacle or two. Diverse terrain also means different loads to the very mobile architecture of the foot with its 33 joints and more than a 100 muscles, tendons and ligaments. This also meant varying loads on the ankle, knee and hip joints – thus tissues were stimulated at different rates, intensities and frequencies. What’s the opposite of this? Shopping at the mall? Walking around the paved path around a lake in your community? Where does your shoe-protected, stiff, sensory deprived foot get to encounter the symphony of inputs that nature provides? No wonder most of my clients suffer on long walks through the supermarket – once a tissue is overloaded it doesn’t take much of repeating the same stimulus over and over again to aggravate it. I am saying uniform and manicured terrains are possibly detrimental not because they are uncommon in nature, but because nature provides an endless and unexpected selection of surfaces, while man made everyday walking terrain is the same all the time. Katy provided a great analogy with nutrition – if you know apples are great for you, but all you eat is apples, you still end up deprived of other essential nutrients. So how do we introduce more walking on uneven surfaces without having to become an island hermit? 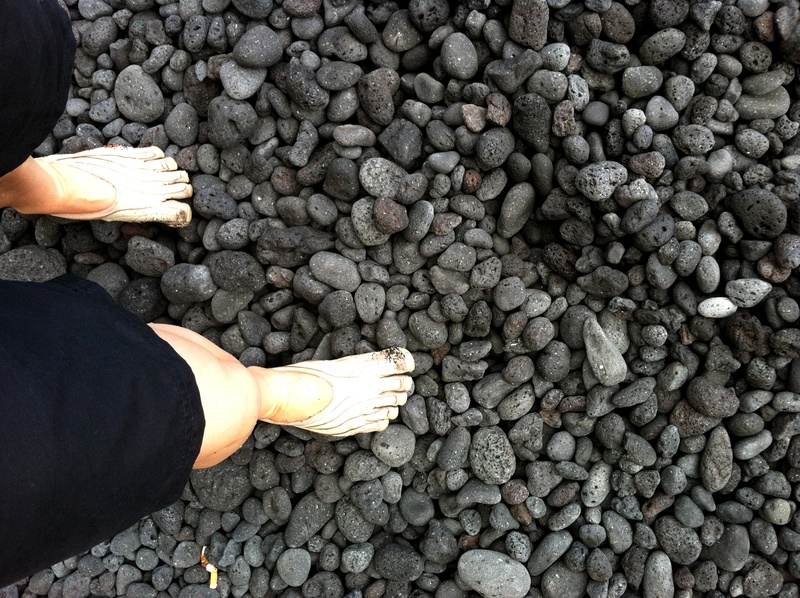 ”I will start small.” Nothing to prove here, so please don’t take your Unshoes on a 10 mile lava rock hike. 1. Experience a less constructed shoe – you can go for minimal footwear and wear your shoes on a natural terrain instead of pavement. It can be a path in the woods or a hilly part of your local park. 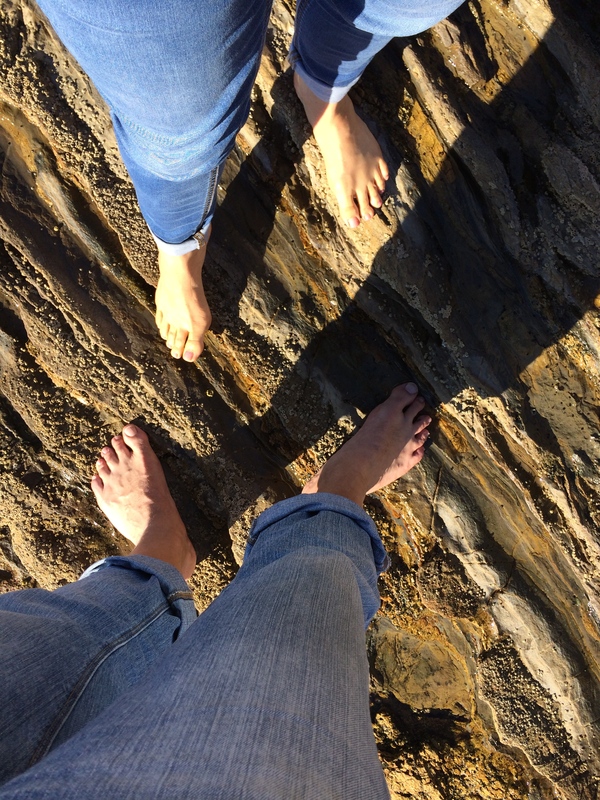 Notice how your toes move, how the front or side part of your foot deform over rocks, pebbles and other small obstacles in your path. Notice if your step has become lighter, how your heel contacts the ground, how your body is making changes to the position of the foot. 2. 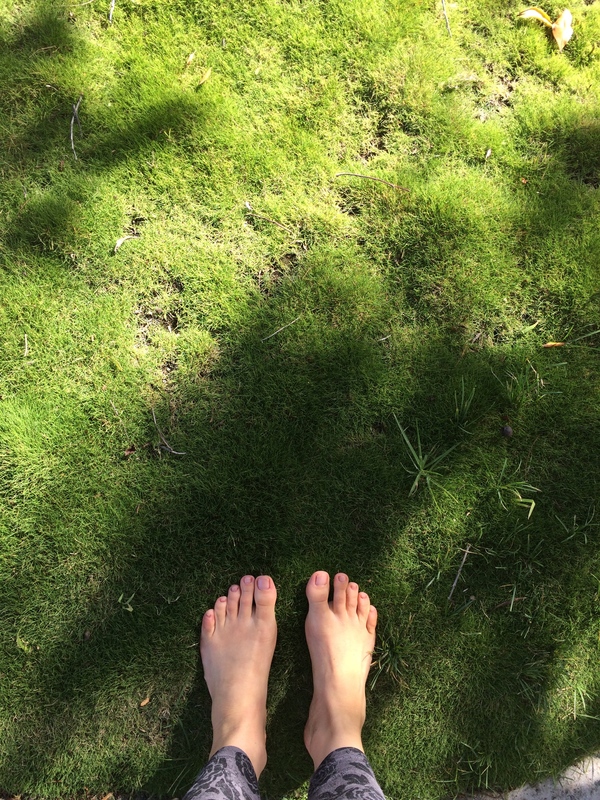 Once you have experienced a more minimalist shoe try some walking barefoot around your home and your garden. Notice if you step differently. Notice if your ankles, knees and hips are adjusting differently to your steps. 3. Go on a short uneven terrain walk – do this in a less constructed shoe, and if you are experienced, in a very minimalist shoe. Observe how you adapt to the challenges of the terrain. 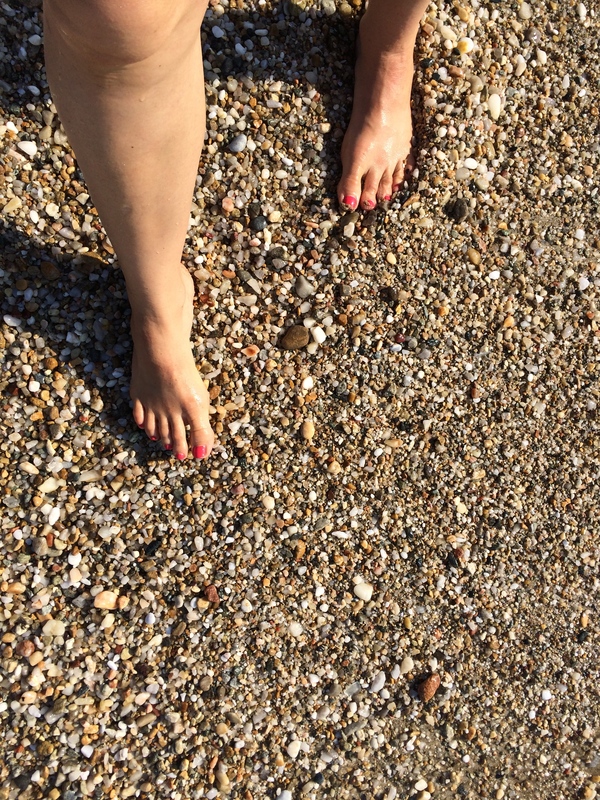 Do your feet feel different after? How fast or slow were you going? For the very advanced, take one minimal shoe and one bare foot for a walk. What’s different left to right? Are you noticing a lot more sensation with the bare foot. How does one side of your body feel compared to the other? You can do these uneven terrain exercises for short periods of time at first until you are ready to brave a longer exploration. Start with 10-15 minutes and slowly progress. 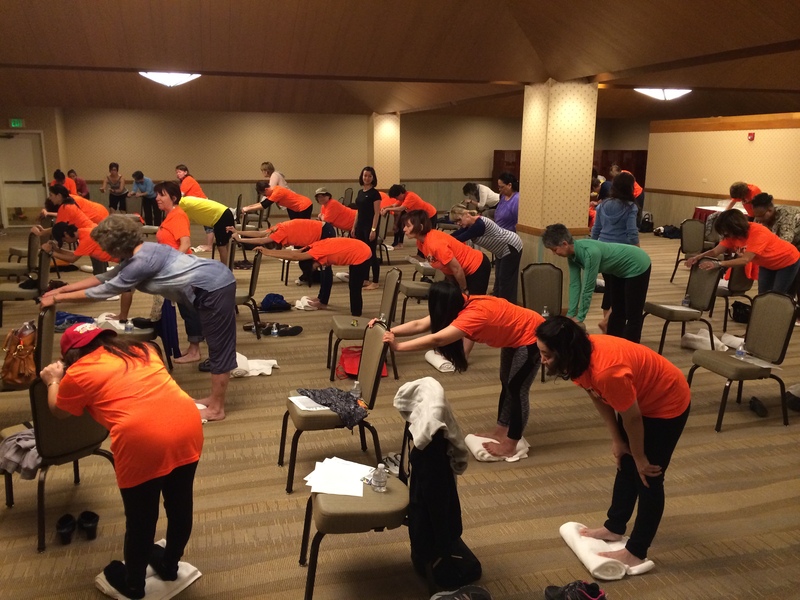 Remember to be gentle with yourself – a return to the natural shape and fitness level of your feet will take a while. To accelerate the process of beefing up your feet and making them look like the bodybuilders they are designed to be, read Katy’s ‘‘Every woman’s guide to foot pain relief’‘? You can grab it on Amazon or borrow it from my lending library at the studio if you are local. p.s. 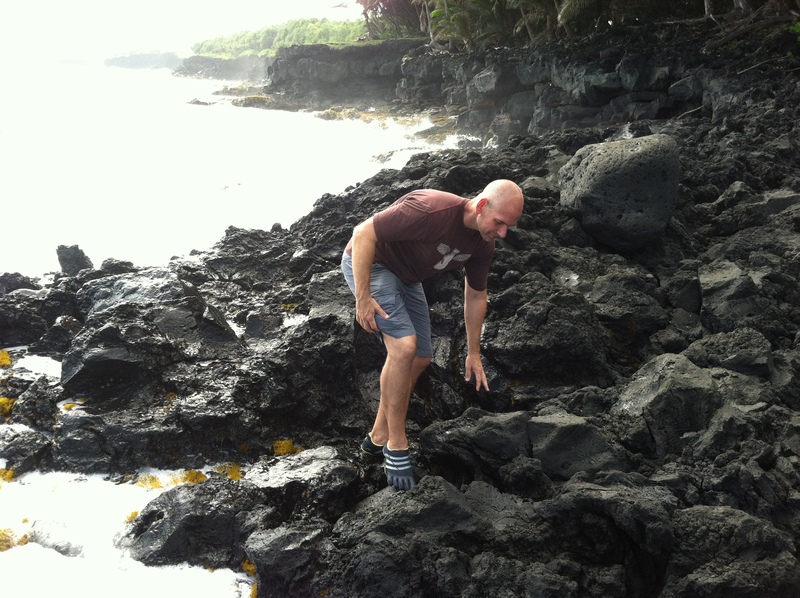 Most lava rock walks were done in Vibram 5 fingers, Adipure and New Balance Minimus. Some less fortunate walks were done in Sockwa shoes – we were not quite up for the challenge of sharp rock vs Sockwa. Categories: Uncategorized | Tags: barefoot, footwear, natural movement, shoes | Permalink.